Okay, we're going to try a little experiment here. Though I'm not actually at the library creating displays anymore...I still like creating displays. So this post is about what I would create for this time of year. Yep, it's time for a St. Patrick's Day display! 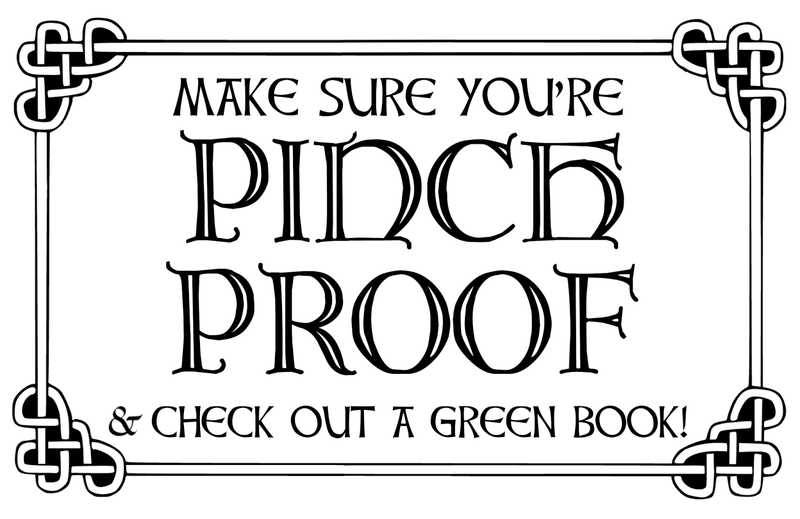 So, basically, I saw this quote somewhere in passing, and thought it'd make a pretty perfect St. Patrick's Day book display sign. So here's a free printable! You can click on the image to download for yourself, or get the 11" x 17" .pdf from Google drive. And just to help you get a feel for what it may look like on display, here's my obviously-photoshopped inspiration picture! 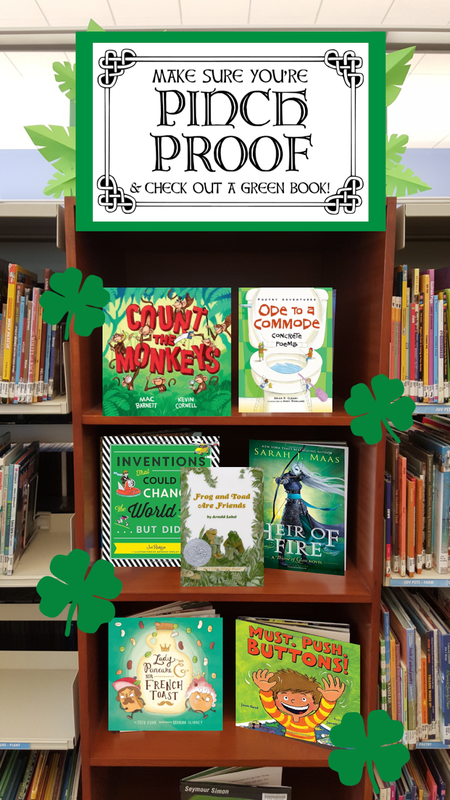 What's great about this display is you can highlight any collection, really—nonfiction, picture books, etc.—just find the books with the green covers! Add some four-leaf clovers for some extra luck and you're in business. Enjoy! Man, I told Maria it was your idea before I saw this. Too late to take all the credit for myself! Bummer. Well, Lizzie might've called you out, too, since she likes to peruse the blog. So it was doomed from the start. But you should still put it up at the library. I love this! I'm going to pull out some of our green picture books and display them! Thanks for the inspiration! 9 Children's Books for Pi Day!